Trying to sum up the health benefits of Frankincense Essential Oil is a little bit like throwing an ant at an elephant. There is no way a single blog could possibly capture the bounty of frankincense oil. In fact, you’ll likely see more of these in the future, as I slowly attempt to do it the justice it deserves. In this blog, I’ll be sharing a few of the reasons I chose it for a respiratory blend that burned for the 2 weeks straight that our Okanagan Valley was inhabited with intense smoke. For that blend, read my blog post: 5 Favorite Essential Oils for Breathing. It relaxes the diaphragm and promotes the circulation of Lung QI (Energy) and also helps clear Lung Heat. As mentioned in prior blogs, heat can often be translated to inflammation. Inflammation and heat are common by-products of excessive environmental pollutants, such as the dense smoke we experienced. It can also be caused by cigarette smoke, industrial pollutants and chronically stagnated emotions. Frankincense is known as the Oil of Truth and is excellent at helping bring the dark unconscious into the light, this is part of the refinement process of the Metal element, of which the Lungs and Large Intestine belong to. To learn more about the element and emotion associated with each organ system check out this blog. Invigorates the Blood and calms the Shen – spirit. The blood carries our consciousness and is intrinsically linked to our Heart and our mental health. Again, for more on this check out this blog. When our Lungs are overburdened, and spaciousness is compromised, we can get anxious and feel confined. 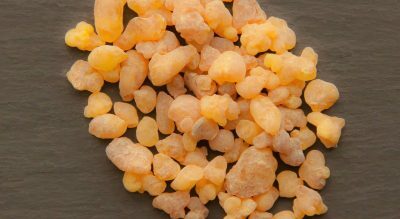 Frankincense is excellent at moving what is stagnate, deep-seeded or not. This helps open up the spaces of our body and in return allows us to feel like we can breathe again. Those were the 2 main indications for Frankincense in the Respiratory blend. Both of which were well supported by what we know about it from a Western perspective. The Health Benefits of Frankincense Essential Oil from a Western Perspective. Frankincense Essential Oil helps the body react to stress and helps remove the inflammatory by-products of this stress. For some interesting studies being done with Frankincense Science Direct has a lot of information. It has proven to be a strong immunostimulant according to this study. It has shown itself to be antimicrobial according to this study and acts as a strong antiseptic. Frankincense Essential Oil can be used in an 8% dilution. These are just a mere few of the health benefits of Frankincense Essential Oil. For more Dr. Axe has a great write up on it. If Chinese Medicine and Essential Oils are your jam check out my 6-week online course. See you all again very soon and much love.